The process from novel drafting to book promotion can be a long, confusing journey of pitfalls that costs us money, causes us to doubt ourselves, and can dampen the spark that gave us the courage to start in the first place. Until a self-publishing degree is offered at our local universities, we authors have to educate ourselves on the complexities of self-publishing. There are thousands of self-taught experts writing blogs, selling books, broadcasting, and offering lessons via video to help authors navigate this learning curve. We could spend years exploring and mining the extensive market of self-publishing information, and I have. The trouble is, when we are surrounded by a plethora of information and a multitude of people pointing us in different directions, we get bogged down with information overload and become mired in indecision. 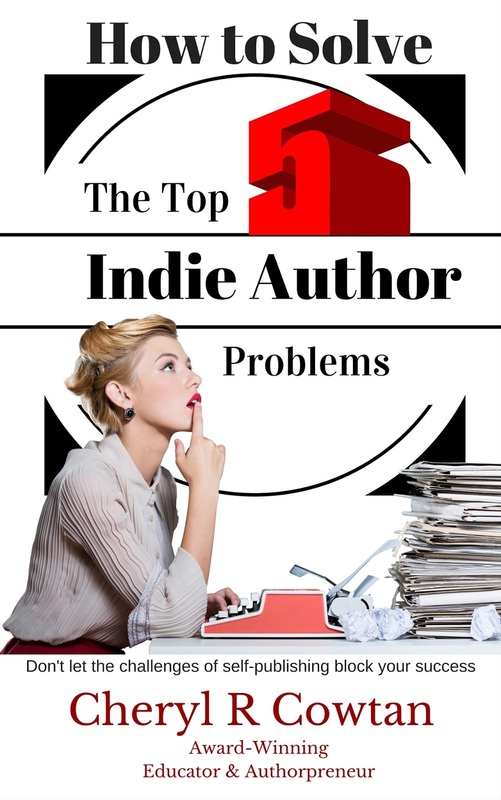 The "Improving the Quality of Your Writing" chapter focuses on the first indie author challenge you will encounter in your self-publishing career and how to solve it. For a free copy of this book chapter, sign up for my Authorpreneur Post newsletter at http://www.cherylcowtan.com - select "You are a writer" and begin receiving writing and marketing tips right in your mailbox. 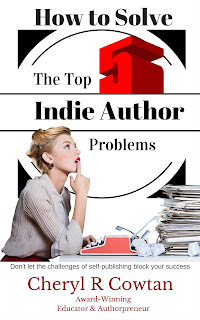 You will also be notified when "How to Solve the Top 5 Indie Author Problems" is available. It doesn’t matter how much money you sink into marketing, how much effort you put into networking, or how good you are at establishing your brand if your book is not a quality product. If readers take a chance on a novice author and the writing is of poor quality, fraught with writing mistakes, this may result in damaging book reviews that will discourage others from buying; they certainly won’t buy another book from that author; which will reduce subsequent sales that are key to higher book sale royalties. Here are some tips on how to avoid this scenario. Writing is a skill that benefits from constant growth and learning. Like any other craft, practice and feedback on your writing is crucial to improving its quality. Bram Stoker, author of “Dracula” said, “We learn from failure, not from success!” That might have been okay in the 1800s, but I suggest we strive to fail in private and succeed in public. The art and science of writing can take a lifetime to master, but every time you learn something new, you improve the quality of your product. I expect to be learning how to improve my writing for the rest of my life. Before seeking editorial input, many of us do preliminary self-editing checks. These checks can be supported by the software we write with.